How are you all ? 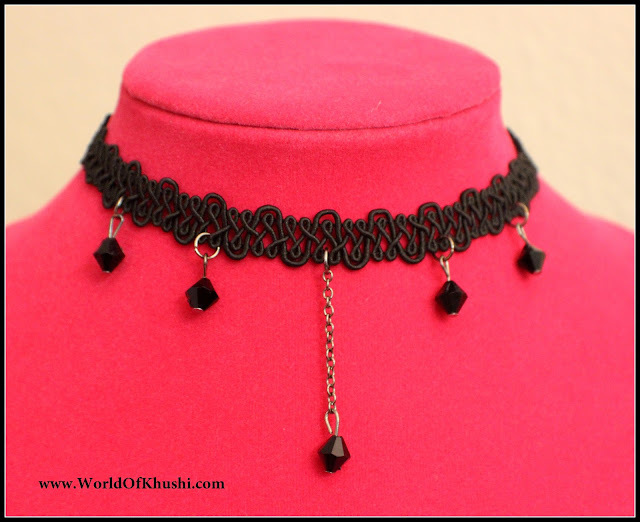 If you are following Khushi's World then you would be knowing that I have shared 3 types of Chokers till now. Today I am going to share another Choker type; Vintage Choker Necklace. Vintage Chokers are popular in the market and they bring out an extra style in your look of the day. I also love Vintage Choker & I am very happy the way this necklace turned out. I am sure you guys can also make a stylish Vintage Choker with the help of this article. Step 1. Measure your Neck with the help of Measuring Tape or Lace. Step 2. Cut the Lace with scissors according to your size. Before cutting reduce the measurement by 1-2 cm & then cut it. Step 3. Once you have the desired length Lace take the back side of it & follow the next step. Step 4. Add Ribbon Crimps on both the sides of Lace & press with the help of Flat Plier till it gets secured properly. Note :- Join the extra threads from the Lace together first before pressing with the Plier. Step 5. Now add Jump ring on left side of the Lace with the help of Nose Plier & Flat Plier. Step 6. 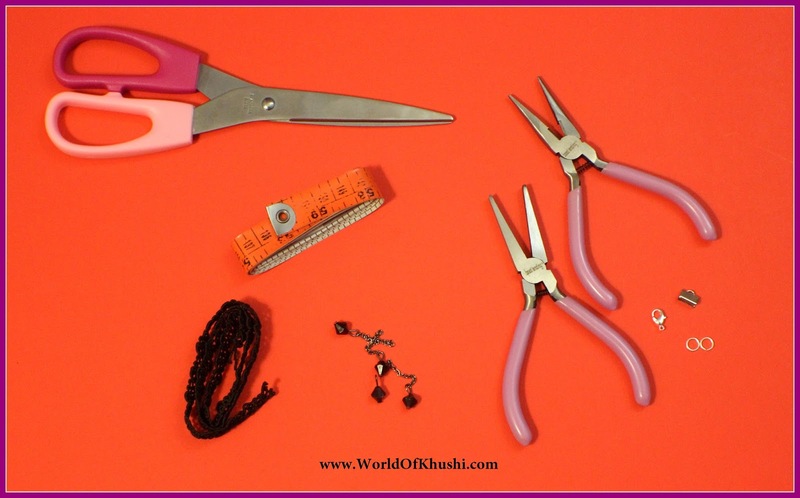 On the other side add Jump Ring with Lobster Clasps(lock) using Nose Plier & Flat Plier. Note :- The lock should be facing towards you not against you. Step 7. After your previous step your Choker will be ready. Step 8. Put a Black Bead on one end of a Chain(small) & Jump Ring on the other end. Insert this into the center of the Choker with the help of Pliers. Step 9. Take 4 small beads and add Jump Rings to them respectively. Your beautiful Vintage Choker Necklace is ready. Note :- If you want you can use cord clasps so that you can have adjustable size Choker. I personally don't like hanging chain behind so I used the exact measurement & didn't use cord clasps. You can customize the Choker color, lace, beads etc. based upon your preferences. Choker necklace is the addition in fashion accessories. With weatern dresses, it suits one the best.cheap choker necklace is to let the fashion loving girls try this latest version and dimension of fashion. Choker necklaces are awesome to wear. It is getting priority more these days. Statement necklaces are also getting trendy to young girls. You can find it marvelous and mesmerizing. Give a look for the latest designs.